Following on from Augusts Beauty Favourites so much has changed since then.. The schools started back and the biggest change of all - of course, its now autumn. The weather has changed so much since last month and thanks goodness for that as I am not really a fan of the weather when it's too hot. I much prefer the cooler weather in autumn. 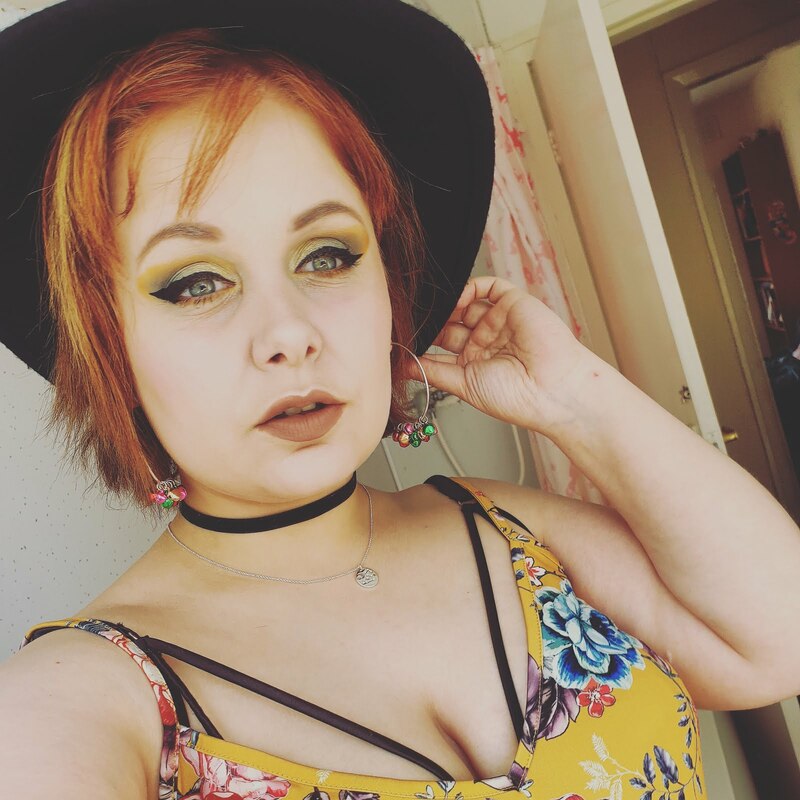 I love autumn colours, candles and the fashion. Autumn may be my favourite season of them all but my skincare and beauty routine do change quite a bit in the colder weather that's for sure. 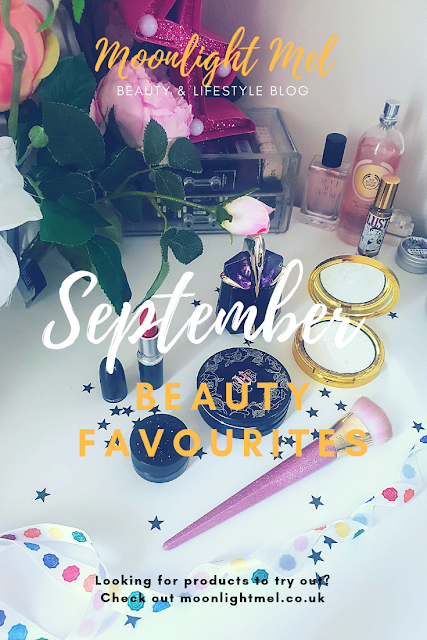 Choosing Septembers beauty favourites was simple for sure because I used most of these items almost daily. Keep on reading to see what they are! This has to be my favourite eyebrow product ever! I have already bought 2 of these because they are amazing are defining brows and not only that it is so simple to use. Each pot is designed to perfection and the lids match the shades inside, they are 15 shades to choose from. I have in my collection "Blonde" and "Graphite". 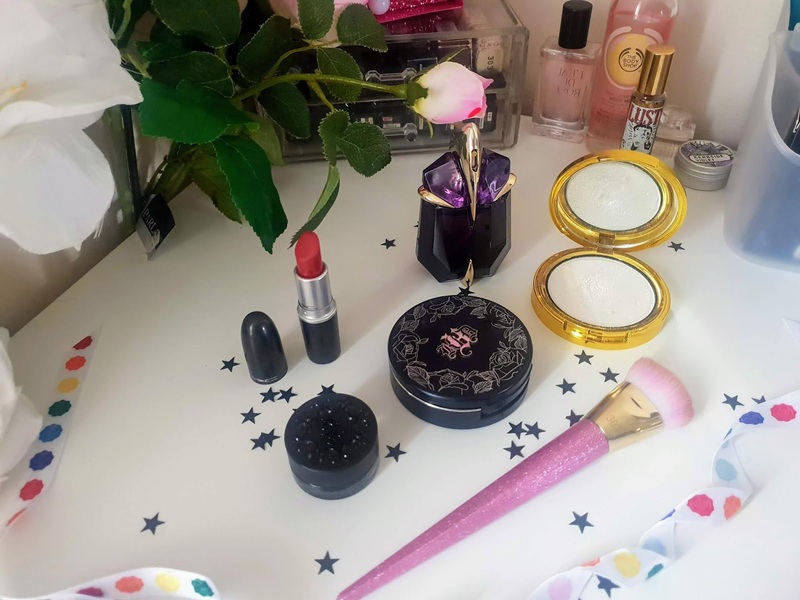 They have a creamy formulation and not only can they be used as an eyebrow pomade but they can also be used as an eyeliner or even an eyeshadow. Where to buy? Debenhams instore and online. I personally don't use it as a foundation but I do use it as a contour and bronzer. I was shown a variety of products for countering in Debenhams and thought this was just amazing. Inside you have 9g of product and also a handy mirror, it always has a foundation pad inside if wanted to be used as a foundation. I love how easy this is to use and only a small amount works wonders on creating a lovely countered look. I have had a few makeup brushes over the years but I have never owned a contour makeup brush. Basically, before I would just a fan or a blush brush and they were fine but I never got the definition I was after.. until I bought this makeup contour brush! Its just amazing with its sparkly design and bristles are soft yet easy to get a sharp or soft definition with bronzer. This is part of the volume 1 collection of brush crush from real techniques. This is from Kat Von D 10th anniversary collection and my goodness this highlighter is my all time favourite highlighter (so far). It is highly pigmented and so sparkly too, so every time I move or when I go into the sunshine it sparkles ( not like Edward Cullen though hahaha). I love the packaging with this highlighter but its not the easiest to take photos off as it almost like a mirror ha! Until recently I didn't wear perfume very often but for some reason, I wear it most days now. I like to change my fragrance a lot but Alien is a fragrance I keep coming back too. This fragrance is woody and floral scent as its main scent is jasmine. The bottle looks amazing doesn't it? Where to buy? Perfume shops online and instore. What beauty products did you like this month? Lovely post! That real technique brush is super cute definitely interested to check it out, might be helpful in improving my contour skills! I love Mac lipsticks too I wish I owned more! That Real Techniques brush is so pretty, I've never tried anything from Kat Von D but heard their products are amazing! 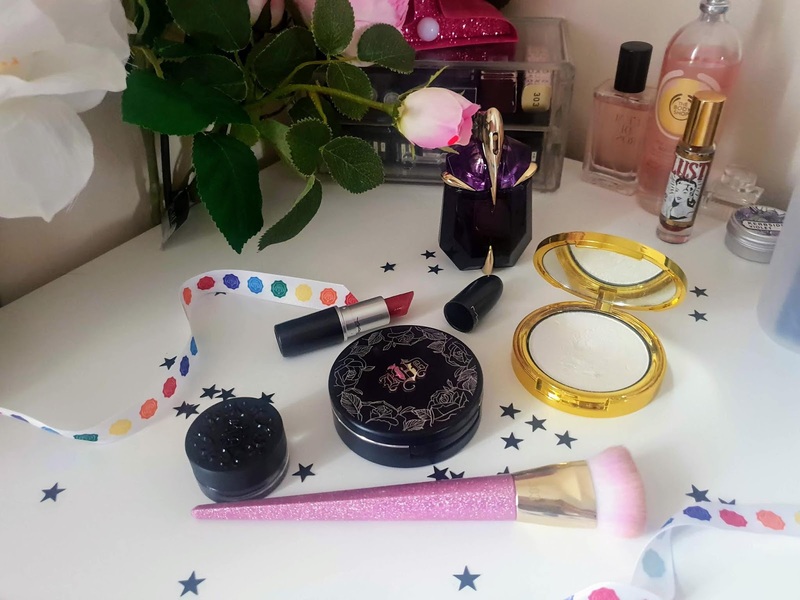 I love reading a good beauty post! I've also been looking for a new eyebrow product to use as I want to change from what I normally use as the pigmentation isn't the best. I'll take a further look into the Kat Von D one. I absolutely love the new Real Techniques brushes! They're gorgeous! Never tryed any of it. I will have to go shopping. Thanks for sharing. Wow they are amazing but I have never tried them. I really wish to. I’ve never tried any Kat Von D products but I’m really eager to! I love seeing people’s favourites at the end of the month, gives me so much inspo! Ohhh I love Kot Von. Her products are some of the best I've used!